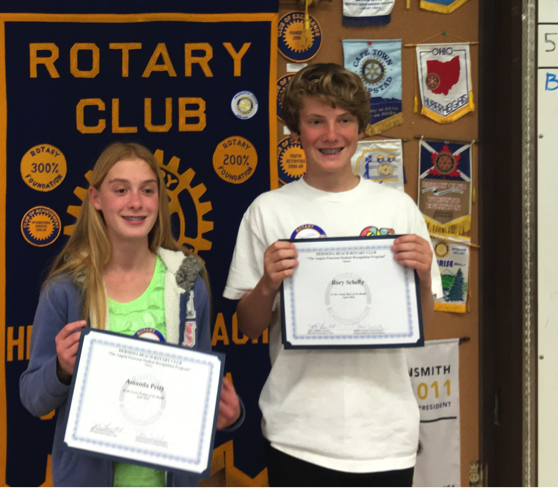 The April Students of the Month have high expectations, indeed: Amanda Petty and Rory Schelly want to attend Cal Tech and MIT, respectively! They are both well on their way, with a dizzying array of activities and accomplishments. Although Rory admits to loving philosophy, he’s interested in working at Space X after studying physics, partly because he admires Elon Musk (its founder) so much. His dad says he is “destined for greatness AND goodness,” because he cares so much about every living thing. Amanda, who is a twin, is a near- pro tennis player who is bound for the bio-medical specialization that Redondo High School offers. She is most of proud of her mom, HB Mayor Carolyn Petty, and is very excited about traveling to New Zealand this summer with her family. She loves fantasy novels and all of the Marvel movies and, not surprisingly, noted science is her favorite subject at HVS.